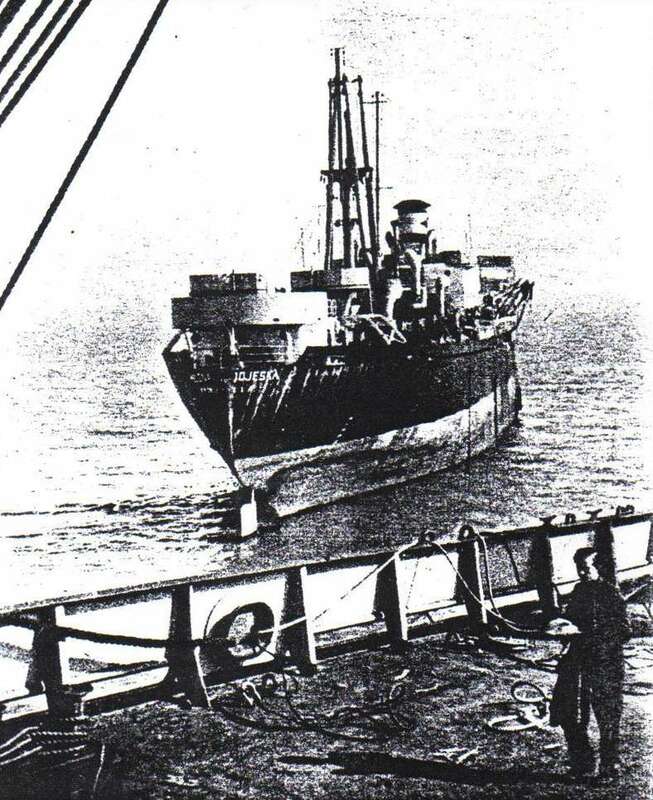 Career: Wrecked on the Goodwin Sands 12 September 1946. 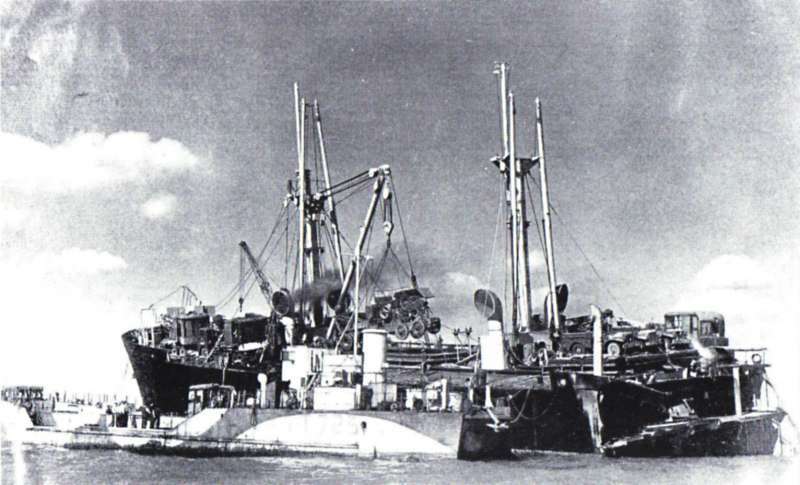 She broke in two but the two halves were salved and towed to the River Blackwater, the forepart on 10 January 1947 and the afterpart on 10 June 1947. In the Blackwater, the two halves were moored alongside each other. She was then scrapped at Grays, Essex. 7 April 1947 Jeff Curtiss recorded that the fore part only was in the Blackwater. She is mentioned in "Tide Time" by A.S.Bennett, stating that she had gone on his trip on the MIROSA in Jun 1948. - 21 March 1947 Compensation 10 wks 3 days (i.e. from 7 January 1947). American Steamship Lines. 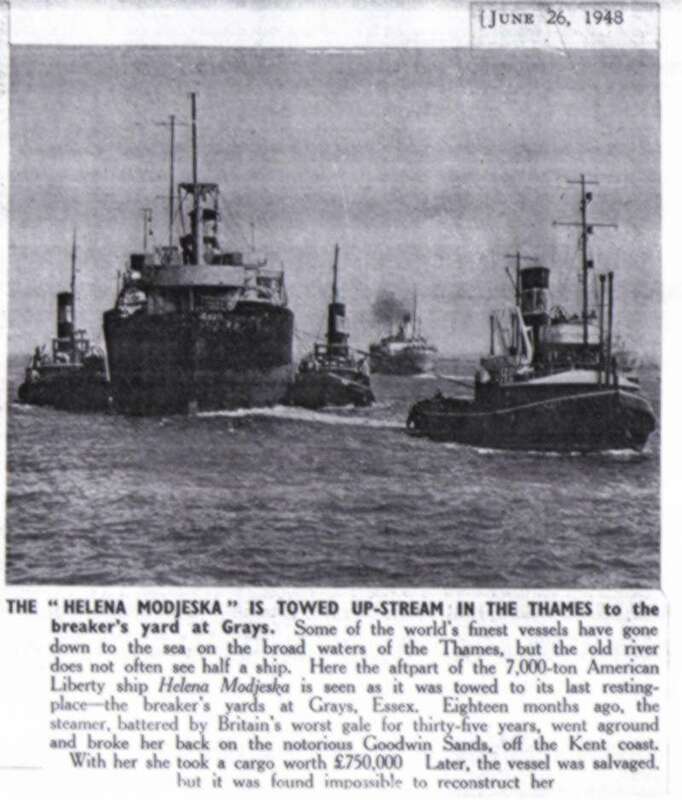 - 10 June 1948 Compensation 1 wk 6 days, owner British Iron & Steel Corp.
"Haven of Rest" by Douglas Gurton says "two sections of the HELENA MODJESKA were brought into the River and moored together presenting an incongruous sight. These vessels were afterwards taken away and scrapped. Above: HELENA MODJESKA, after running ashore on the Goodwin Sands 12 September 1946 Date: c1946. 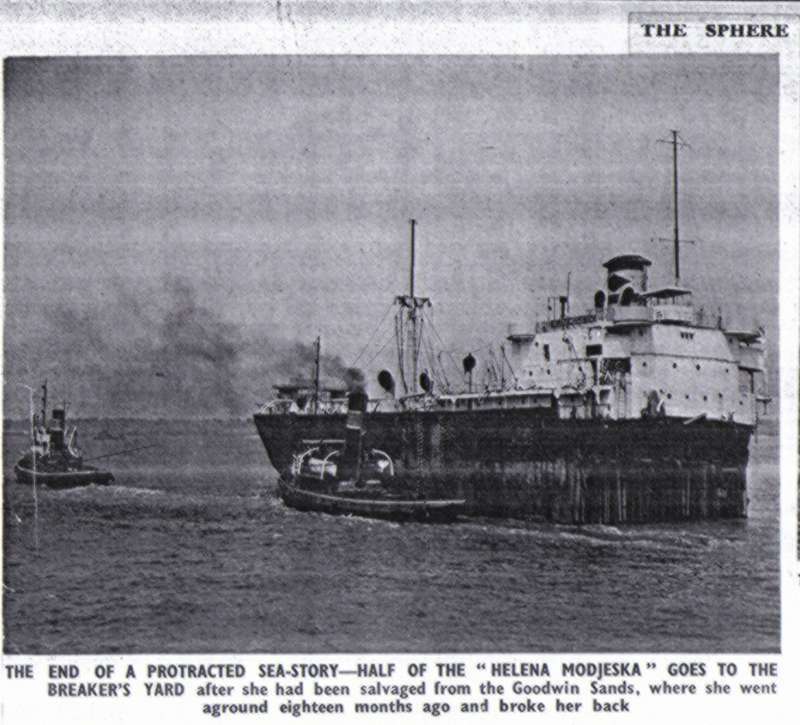 Above: Discarging cargo from HELENA MODJESKA, after she ran ashore on the Goodwin Sands 12 September 1946 Date: 12 September 1946. Above: Newspaper cutting from The Sphere Date: 1947. Above: Newspaper cutting from unknown paper, dated June 26, 1948. Date: 26 June 1948. 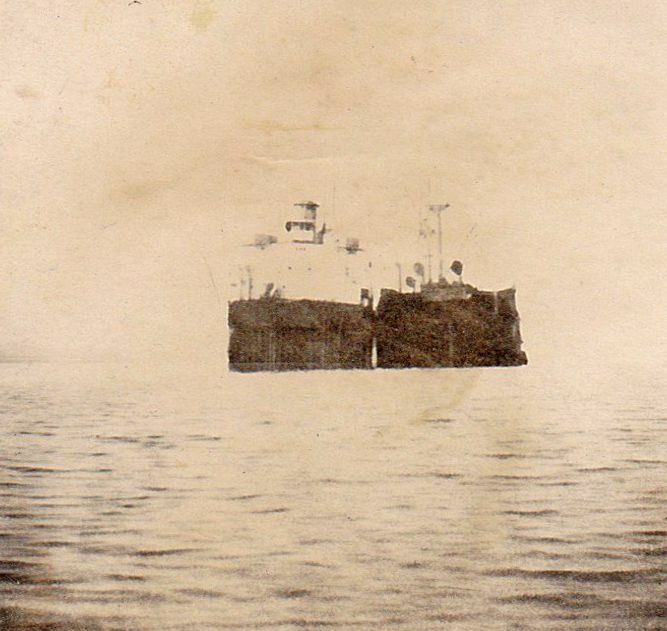 Above: The two halves of the Liberty Ship HELENA MODJESKA anchored in the River Blackwater. She had gone aground on the Goodwin Sands 12 September 1946 and broke in two. 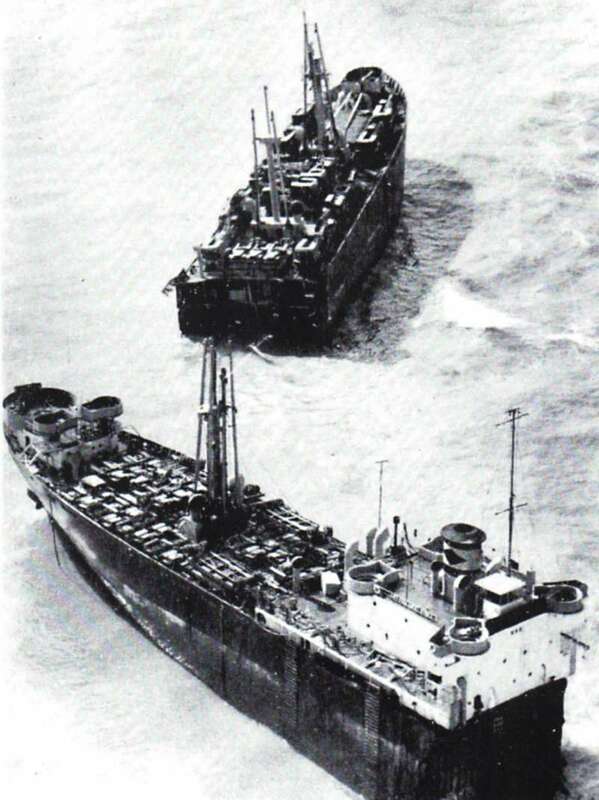 The two halves were refloated and towed to the Blackwater January and June 1947. Date: Before 25 June 1948.